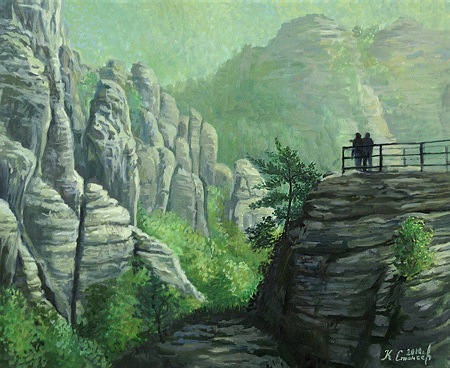 New Picture from the upcoming exibition "The Stranger Walks in Europe" - canvas named "Morning in Saxon Switzerland" added. Rarely you could find more suitable place to stay alone with your thoughts, to bow to the majesty of nature and leave a bit wiser, pure and spiritualy rich. Saxon Switzerland is a region in Germany near the beautiful city of Dresden. Odd shaped rocks are part of the park stretching along the river Elbe. 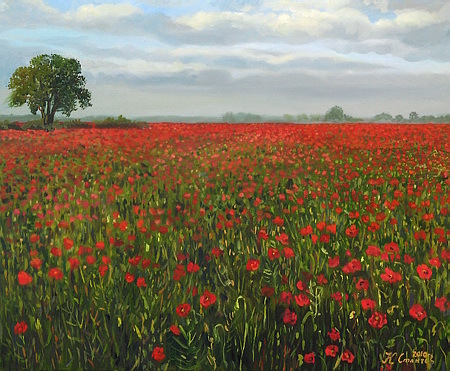 In my humble opinion the place is most beautiful in the morning, so I tried to reproduce that moment on canvas. 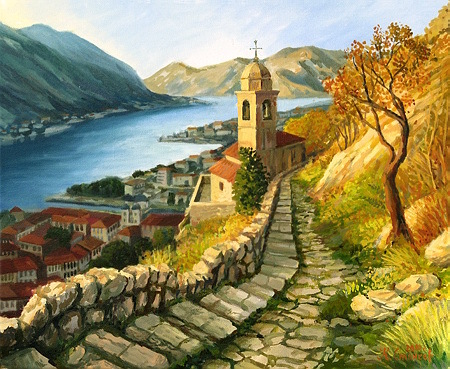 New Picture from the upcoming exibition "The Stranger Walks in Europe" - canvas named "Kotor - Southern Fjords" added. Surrounded by the descending slopes of mountains to the sea, Kotor is one of the cities well deserved to visit in Montenegro - the whole town is listed by the UNESCO protected sites. Kotor Bay itself is often called the most southern pseudo fiord system in Europe, but it's actually a destroyed by centuries river canyon. The fortified wall on the slope of the mountain above the town stretches over 4.5 kilometers, I've painted on the canvas view of the bay, which spreads on the way to the top of the fortress. New Picture from the upcoming exibition "The Stranger Walks in Europe" - canvas named "Majestic Beauty" added. 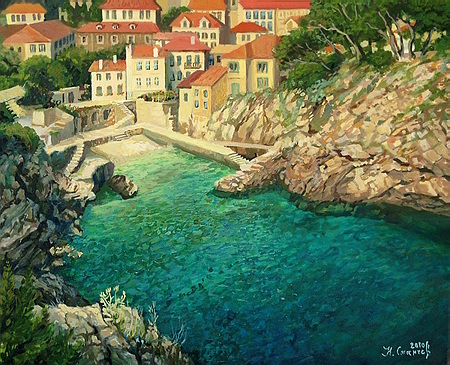 Dubrovnik has something which makes you come back again and again and each time have the same yearning and desire, as the first visit to this idyllic spot. 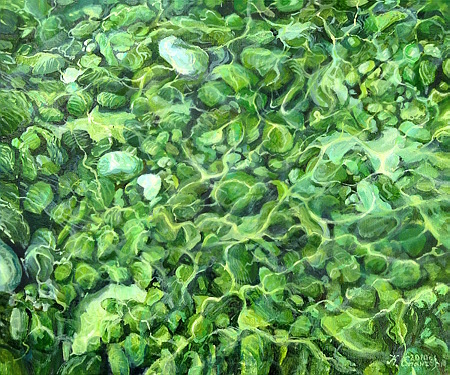 The canvas represents one of the smaller bays north of the old city that invites to juggle with crystal cool water. 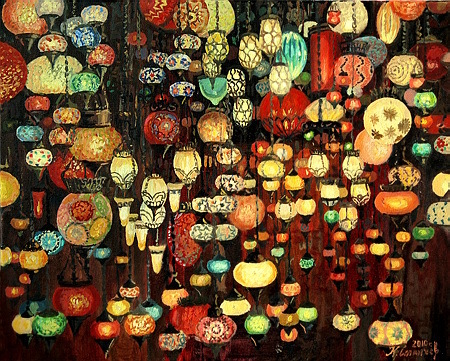 New Picture from the upcoming exibition "The Stranger Walks in Europe" - canvas named "Magic of The Orient" added. The most charming place in Istanbul for me are the small shops filled with all sorts of souvenirs, vendors which are offended if you don't want to bargain with them for a better price and all this mixed with the aroma of exotic spices and aromatic oils. 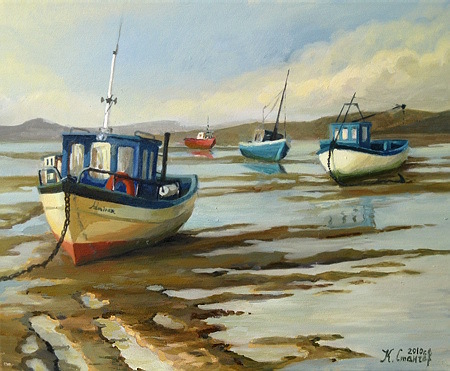 New Picture from the upcoming exibition "The Stranger Walks in Europe" - canvas named "Low-tide near Morecambe coast" added. The impressive game of the nature allows you to walk hundreds of meters away from the coast. Sensation of the Tide is magical, as if every bit of sand is expecting the water to return with bated breath. 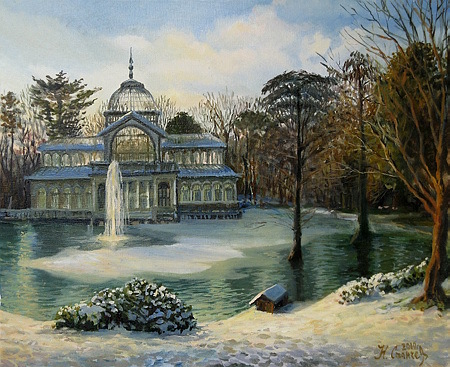 New Picture from the upcoming exibition "The Stranger Walks in Europe" - canvas named "Madrid - The Retiro Gardens" added. Crystal Palace at The Royal Park in the Spanish capital - one of the places where you can really forget about the hectic pace of city life. 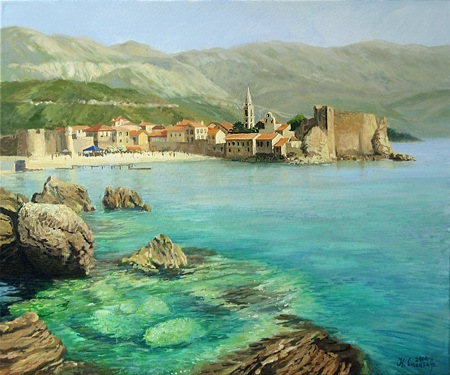 The Second Picture from the upcoming exibition "The Stranger Walks in Europe" - canvas named "Bay near old Budva" added. The beaches north of the city are wonderful place for recreation on the Montenego Riviera. The First Picture from the upcoming exibition "The Stranger Walks in Europe" - canvas named "View Toward Prague" added. 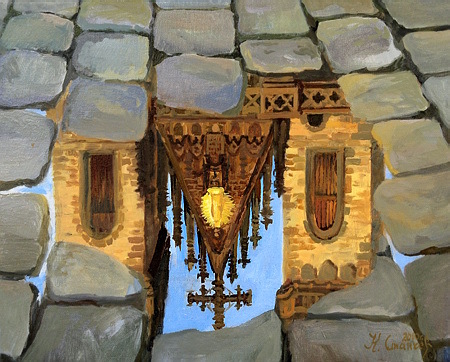 This canvas represents one of my favorite places on the old continent - Tynsky Chram church in the old part of Prague. 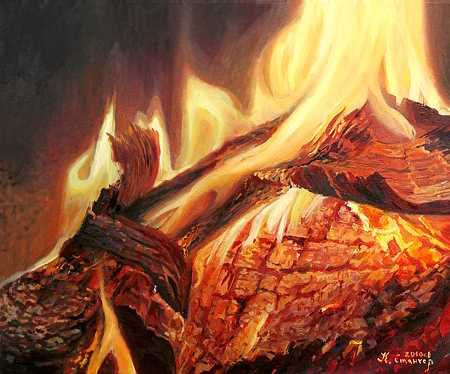 Painting "Evening Messa of The Nature" added. 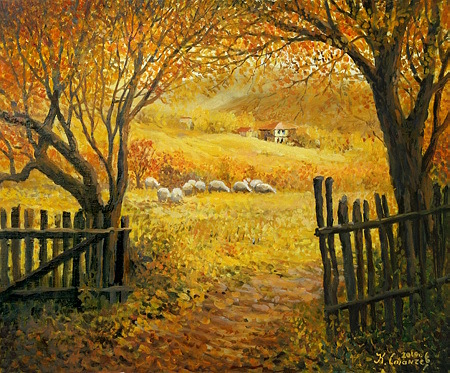 Painting "Path to Childhood" added. Forthcoming exibition"The Stranger Walks in Europe"
At the beginning of the summer I invite you to a journey across Europe! 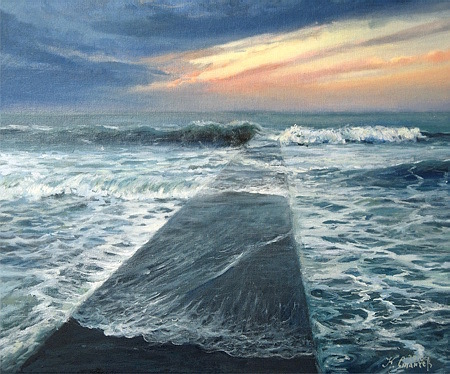 Gallery “Silvena Art”, in the city of Rousse, will host my 14th solo exhibition: "The stranger walks in Europe.”. 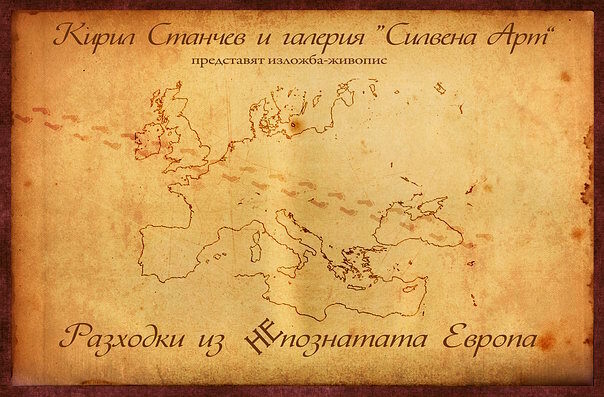 I have always loved to travel - until recently I've presented paintings of my trips around our lovely Bulgaria, but now after nearly two years, the right time has came to show Europe the way I see it as an artist. Together we will visit well-known to most of you places - an aristocratic London, with submerged in warm hues of the setting sun docks "St.Katherine", gardens Retiro in Madrid, will feel the spirit of cosmopolitan Berlin, will bathe in the azure waters around the island of Thassos, will breathe in the aroma of the Orient in Istanbul ... Along with the icons of Europe we will travel to see more unusual places - the cast off near Morecambe, Gothic library in Manchester, the phenomenon Sand Stone at the river Elbe in Germany. 25 adventures await us. 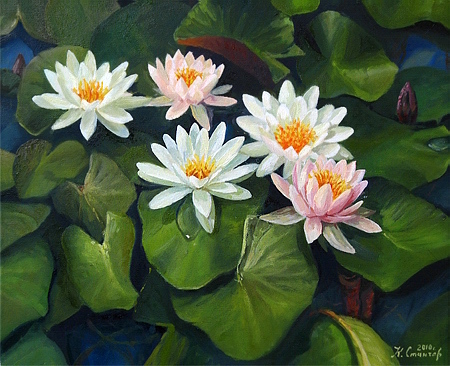 Painting "The Dance of The Water" added. 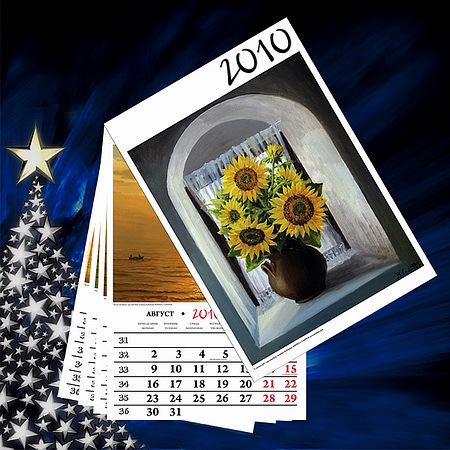 The first five art collectors who will buy a picture from kirilart.com in 2010 will receive a luxury wall calendar (12 pages + cover) presenting the future 12 months through Kiril Stanchev's eyes.